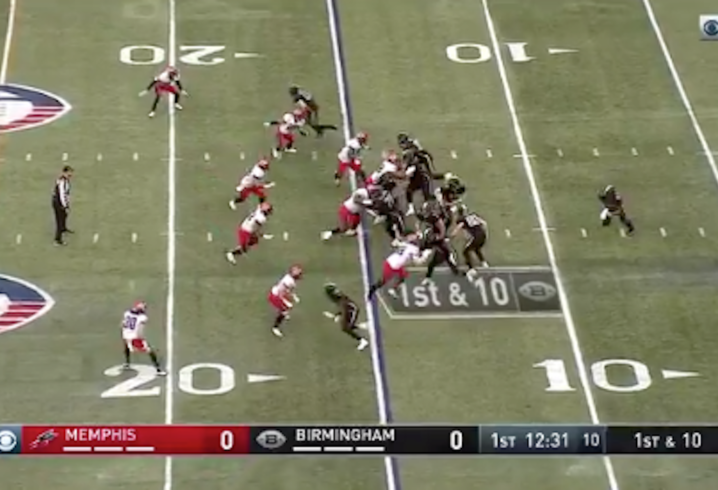 The Birmingham Iron are playing their first game against the Memphis Express Sunday afternoon at Legion Field. The Iron’s roster is filled with former Alabama and Auburn players, but it was South Alabama’s Braedon Bowman who made a big play on the first offensive play in team history. Birmingham leads Memphis 3-0 in the second quarter.